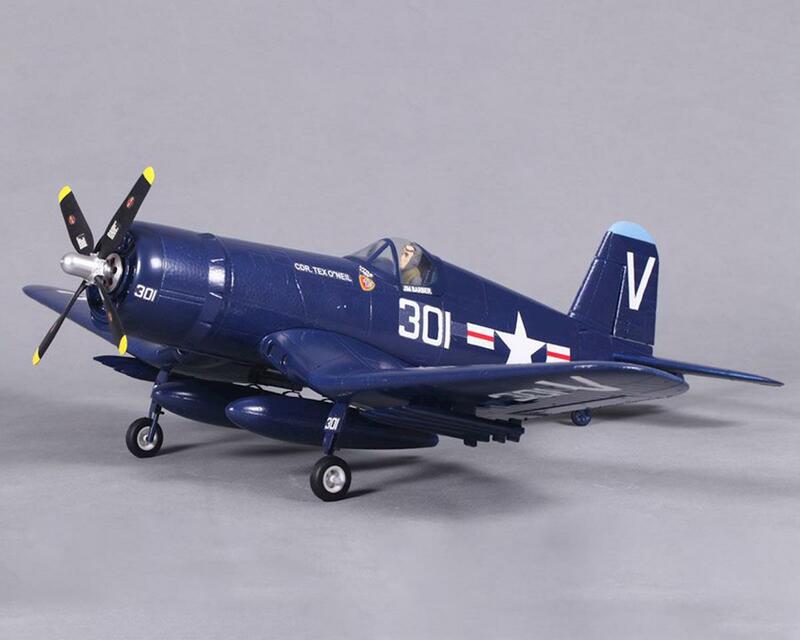 The Vought F4U Corsair was a carrier capable fighter aircraft and was first delivered as a prototype to the US Navy in 1940. 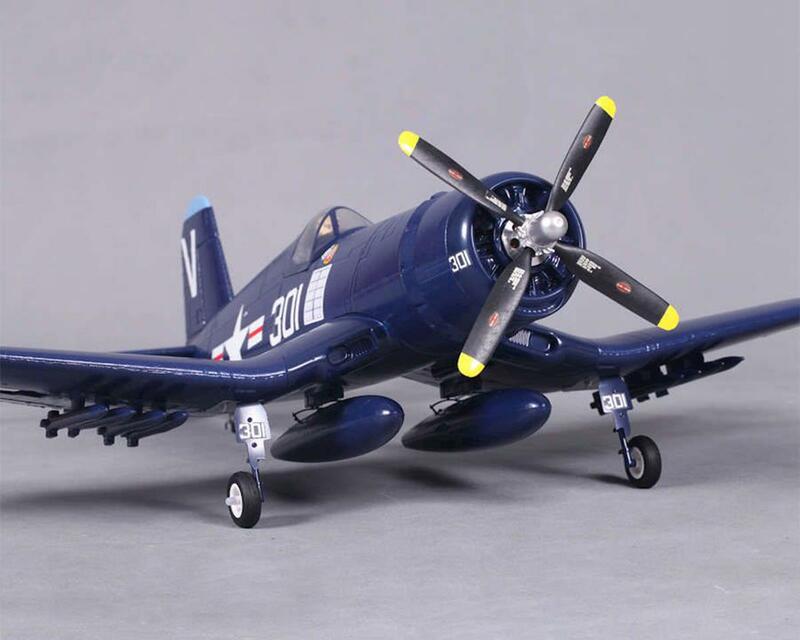 The Corsair used the largest available engine at the time, the Pratt & Whitney R2800 had 18 cylinders and delivered over 2000hp.The Famous models F4U Corsair has many scale features including a beautify 3 blade propeller and scale hub. 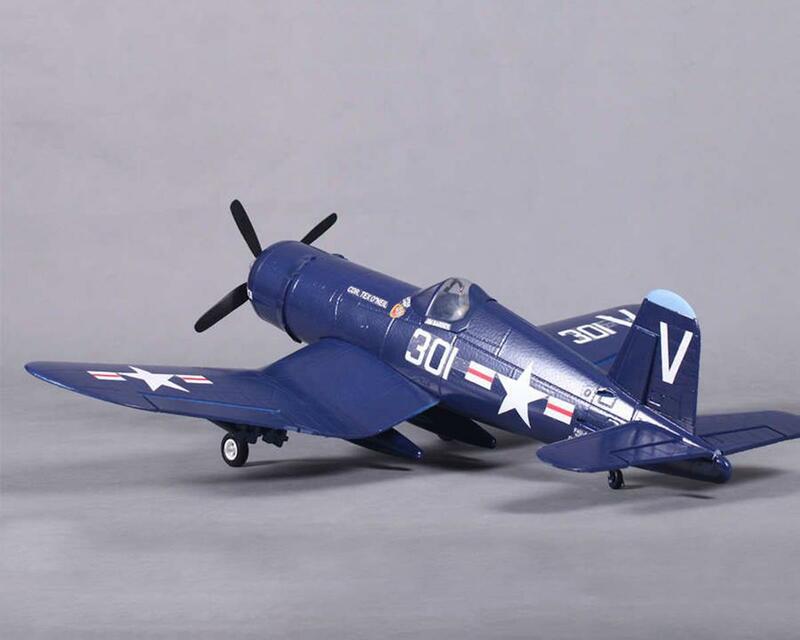 The aircraft features a brushless motor, 20Amp ESC and 4 ready installed servos. Assembly takes minutes following the simple photo step by step assembly guide. 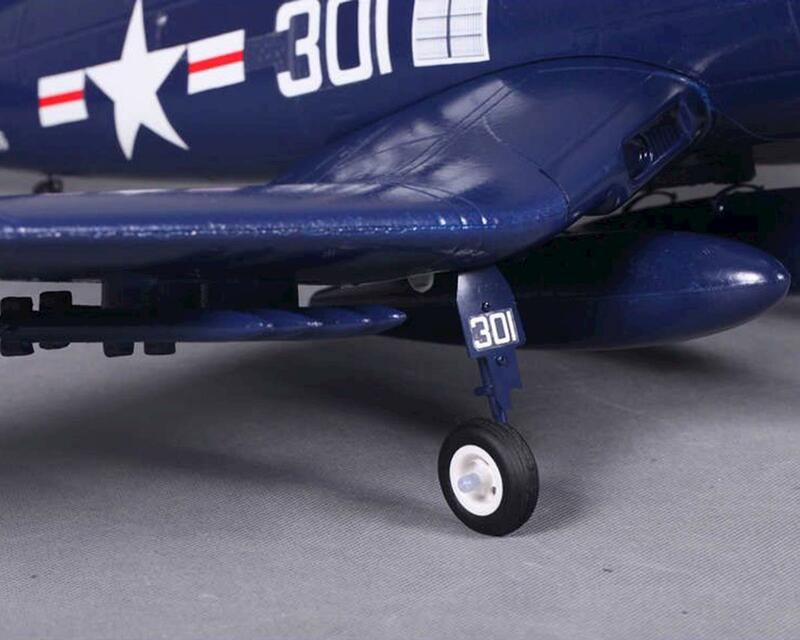 The EPO construction gives a light yet resilient airframe that will take much punishment and just bounce right back into the air! Compact, adrenaline fuelled, big packet of fun still doesn’t do verbal justice to this airframe, we love it! 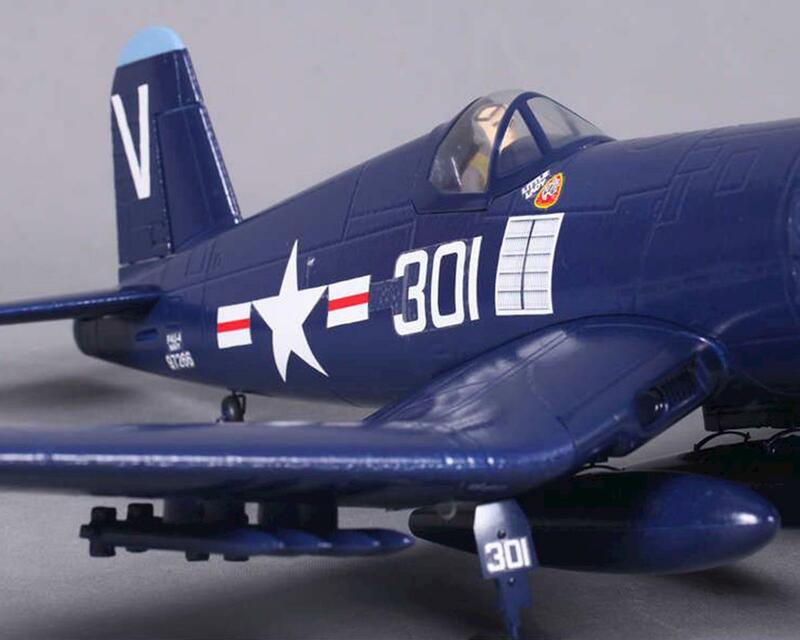 Dog fights really become genuine fun with this range of aircraft so what are you waiting for.